Apple recently announced their new smartwatch, there will be three models, the Apple Watch, the Apple Watch Sport and the Apple Watch Edition. When Apple announced the pricing of the new Apple Watch, the company said that prices would start at $349, they did not reveal any details, on how much the other models would cost. The Apple Watch Edition comes with a gold casing, and according to various reports, the casing on the device is sold gold, this means that this version of Apple’s smartwatch is going to be expensive. John Gruber from Daring Fireball has speculated how much Apple might charge for the Apple Watch Edition, and he things it could cost as much as $5,000, have a look at his price predictions below. Personally I don’t think he is very far off the mark with these prices, gold is expensive, and the majority of solid gold watches today retail in the $10,000 plus range, so a price of the Apple Watch Edition at around $5,000 may be about right. 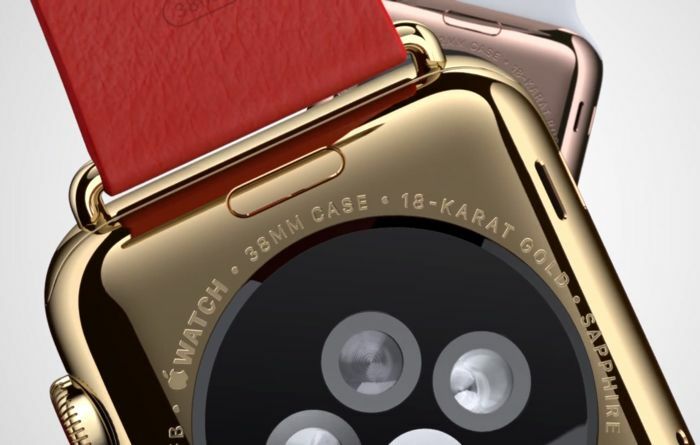 The Apple Watch Edition will come with solid 18 karat gold, this has apparently been confirmed by Apple, this means that this version of the Apple Watch is not going to be in everyone’s reach. Whether people will pay $5,000 for a smartwatch made by Apple remains to be seen, the Apple Watch will launch in early 2015, so we are not expecting any official pricing anytime soon.